Crafted in the Holy Land. Marina brings you a unique collection of inspired jewelrydesigns in fine sterling silver, featuring exquisite pieces in a luxurious array of sacred symbols representing the Christian and Judaic faith. Create a meaningful collection that reflects your spiritual journey and heritage in a unique story that is yours alone. 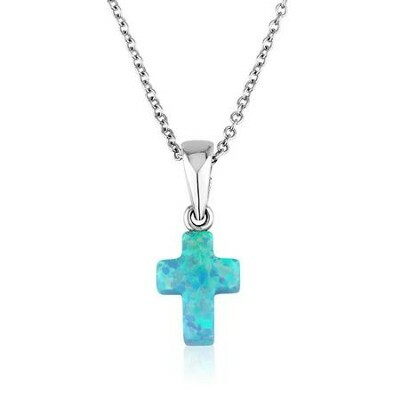 I'm the author/artist and I want to review Blue Opal Cross Pendant with 18 Chain.